The online giant Amazon, which is one of the world’s largest retailers, recently capitulated to a demand by the Council on American-Islamic Relations (CAIR) to remove products the terror-tied pressure group deems to be offensive to Muslims, like reported by thefederalist.com. CAIR was identified as an unindicted co-conspirator in the Holy Land Foundation trial for its role as an active player in the U.S. Muslim Brotherhood’s Palestine Committee. During that trial, FBI Special Agent Lara Burns testified in federal courtthat CAIR was a front group for Hamas. Yet with many media outlets who regularly downplay or whitewash CAIR’s terrorist ties altogether, and the attempted rehabilitationof the group by the Obama administration, it is no surprise that, when faced with CAIR’s standard tactics of public accusations of bigotry and smears, companies are quick to fold. A group of Dublin-based Isis fundraisers was collecting money in the Republic and sending it to the terrorist group in Syria while staying below the radar of international security services, gardaí believe according to irishtimes.com. A number of addresses were also searched yesterday, including in Dublin’s north inner city. A Garda statement said the suspects, who are from a former Soviet republic, were arrested over “suspected terrorist financing contrary to section 13 of the Criminal Justice Terrorist Offences Act”. 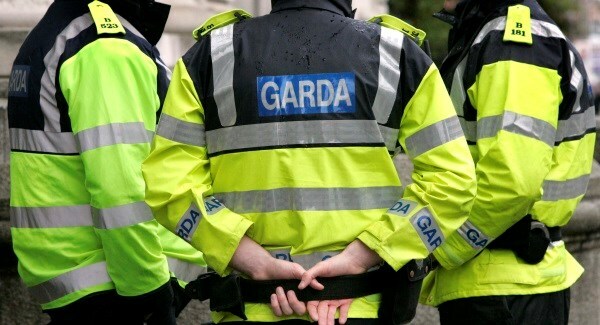 A total of six searches were carried out during yesterday’s raids after an inquiry by the Special Detective Unit, which investigates terrorism as well as the Garda National Economic Crime Bureau and the force’s security and intelligence branch. 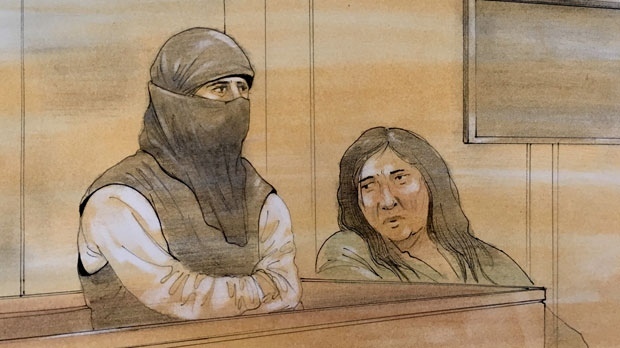 A Scarborough woman convicted last week of four terrorism charges, including assaulting two people and leaving Canada to join ISIS in her native Syria, was schizophrenic and suffering from delusions before her crimes, a report stated, like reported by ottawasun.com. She was paranoid, believing the Canadian government was spying upon her and Canadians were killing Muslims before she left Canada in April 2016 to join ISIS in Syria, stated Dr. Sumeeta Chatterjee, a forensic psychiatrist, in the 2018 report. Dughmosh was stopped in Turkey. Dughmosh also swung a golf club and a butcher’s knife at two victims at a Canadian Tire store in Scarborough on June 3, 2017. She was also convicted with carrying a weapon — a bow — for the benefit of ISIS. “She was able to articulate an awareness of the moral wrongfulness (of her intent to join ISIS). She was generally aware of the legal and moral wrongfulness of travelling for the purpose of participating in terrorist activity,” wrote Dr. Chatterjee. The woman showed she was aware she was breaking the law by “attempting to evade criminal persecution by denying” she wanted to travel to Syria to join ISIS, lying that she wanted to visit family, the report stated. The psychiatrist also opined that a finding of not criminally responsible due to mental disorder was available to her “from strictly a psychiatric perspective.” But Dughmosh never pursued this defence. Crown attorney Jason Wakely disputed the facts and conclusions of the psychiatric assessment. Although Dughmosh pleaded not guilty to the charges, she accepted the statement of facts read in court. She made no closing arguments and was found guilty of all charges after roughly an hour of deliberations. Dughmosh tried to join Daesh — the Arabic name of ISIS — in Syria by flying from Toronto to Istanbul, Turkey, where she planned to cross into ISIS-controlled territory. Turkish authorities blocked her and flew her back to Canada. Dughmosh will return to court Friday after the judge has reviewed the evidence. For three years, terrorists controlled a huge stretch of territory in Iraq and Syria. They ran their own state, collecting tens of millions of dollars in taxes and using the proceeds to fix potholes, issue birth certificates, finance attacks and recruit followers from around the world, like reported by nytimes.com. “People make the mistake of thinking that when you lose territory, it’s linear — that they will continue to lose,” said Seth G. Jones, a senior adviser at the Center for Strategic and International Studies and the author of the center’s recent study assessing ISIS’ troop strength. Mr. Trump’s declaration that ISIS has been defeated is the second time the group has been described this way. A decade ago, the group then known as the Islamic State of Iraq had been pummeled so hard that officials estimated it was down to its last 700 fighters. Over one 90-day period, American forces arrested or killed 34 of the group’s top 42 leaders. With his troops exhausted and outnumbered, the emir of the terrorist group privately lamented that they could no longer hold ground. “We now have no place where we can stand for even a quarter of an hour,” the emir, Abu Omar al-Baghdadi, is said to have told his deputies, according to the group’s own account of the period before the American troop withdrawal from Iraq was completed in 2011. But after that withdrawal, the group rapidly rebuilt itself, and just four years later succeeded in seizing a territory the size of Britain. Recent estimates indicate that the Islamic State has more than 20 to 30 times the fighters it had the last time it was left for dead. Although many of its leaders have been killed, the group’s caliph, Abu Bakr al-Baghdadi, and several of his top deputies, are believed to be alive. But the crumbling of the state has made it difficult to recruit and only a trickle of new members are believed to still be heading to the region from overseas, down from the thousands that were crossing into their territory before. Meanwhile, attacks have dropped in certain critical locations, like Iraq. That doesn’t mean the group doesn’t remain lethal there. In 2018 in the months after Prime Minister Haider al-Abadi declared victory over ISIS, the group carried out over 1,200 attacks just in Iraq, according to one data set. Also, the group’s acolytes continue to kill around the world, including last month in one of Europe’s Christmas markets, in Strasbourg, France, where a gunman who had left a pledge of allegiance to ISIS on a USB stick killed five people, and on a trail in Morocco’s Atlas Mountains, where a group of men who also had recorded a pledge killed two Scandinavian tourists. With the attack on the Syrian restaurant, the world was again reminded of the group’s ability to carry out deadly attacks. Two American troops were killed in that suicide bombing, doubling the death toll for United States forces killed in combat since the start of their four-year deployment to Syria. Three different reports released late last year — by the Pentagon inspector general, the United Nations and the Center for Strategic and International Studies — estimated that ISIS has 20,000 to 30,000 members in Iraq and Syria alone. 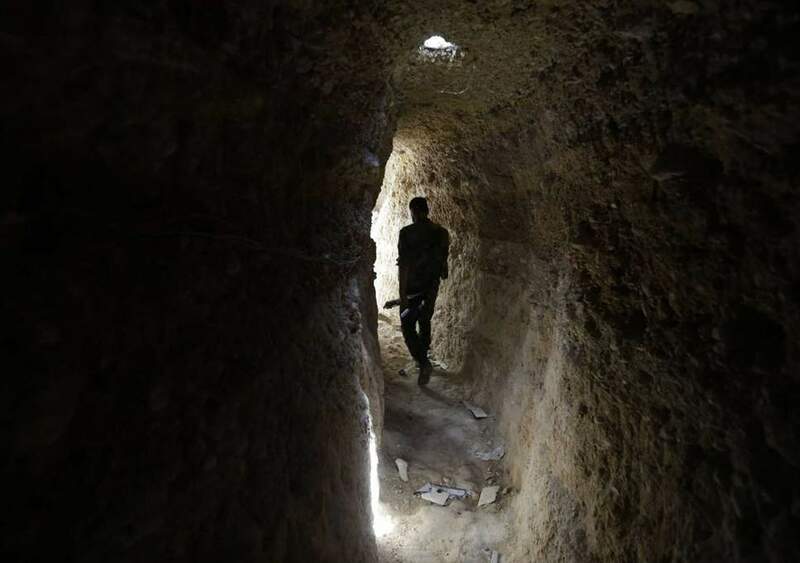 Those figures do not account for the thousands of fighters based in the caves of Afghanistan, in the scrubland of Niger and Mali, in the Sinai Desert, in lawless stretches of Libya and Yemen, and in the numerous other countries where affiliates of the group have taken hold. Online, the terror group has repeatedly boasted about how the United States’ pullout is evidence that the Islamic State has outlasted the American operation. In one video narrated by a well-known ISIS propagandist, Turjman Aswarti, the terror group brags that they are stronger now than the last time American forces withdrew. “When Obama announced America’s flight from Iraq, the fire of our war was only burning in Iraq,” he says, according to a translation provided by the SITE Intelligence Group, which monitors extremist content. “Today the flames of war are still burning in Iraq, Syria, Afghanistan, Yemen, Sinai, East Africa and Libya,” he said, naming the other countries where ISIS affiliates have flourished. “It’s pretty obvious that the group today is vastly more powerful than the Islamic State of Iraq was then,” said Brian Fishman, a former director of research at the Combating Terrorism Center at the United States Military Academy in West Point and the author of book on the rise of ISIS. Experts say the White House is mistakenly equating the group’s shrunken territorial holdings with its overall strength. From its peak four years ago, when it held almost half of Syria and a third of Iraq, the Islamic State has now lost all but a fraction of the land it once held in the region. But it has made a tactical shift to a guerrilla strategy, as Mr. Jones of the strategic and international studies group described it. ISIS announced this tactical shift as early as 2017, in an article in Naba, its weekly newsletter, said Hassan Hassan, a senior fellow at the Tahrir Institute for Middle East Policy in Washington. In the newsletter, the Islamic State compared its situation now with the tatters it was in before the last American pullout. “It became impossible in early 2008 to continue the fight in its conventional ways,” ISIS said in the essay. The essay explained that fighting detachments were abolished and the group’s remaining fighters were all trained in using improvised explosive devices. “Instead of clashing with the heavily equipped American Army, compared to our small and underequipped one, the fight took an absolutely new shape,” the article said. At the height of its territorial power, ISIS resembled a conventional army, at times rolling into battle with T-55 tanks. Mr. Hassan has argued the group began the transition back to an insurgency as far back as 2016, a full year before it lost the most important center under its control — the Iraqi city of Mosul. Mr. Hassan documented how, in early 2016, the group stepped up hit-and-run attacks in towns it had lost. These hasty operations appeared aimed at inflicting harm on these towns’ new rulers, with no intention of regaining territorial control. Michael Knights, a senior fellow at the Washington Institute for Near East Policy, documented how throughout Iraq the group has focused with laserlike precision on killing “moktars,” or village chiefs, as well as tribal elders and local politicians. There were, on average, 15 assassination attempts against local leaders each month in the first 10 months of 2018, by Mr. Knights’ count. These targeted assassinations drew little coverage in the international news media, and yet they have helped undercut the trust Iraqis place in their government’s ability to protect them — as well as drive young men back into ISIS’s fold, Mr. Knights said. “If ISIS can come to your town and kill the most important person in your town any night of the year, do you feel you’ve been liberated?” he asked. The group’s current tactics mirror ISIS’ strategy a decade ago, which led to its rebirth. In its own literature, the Islamic State talks about now being in a phase of “rasd,” or surveillance. It is in that context that analysts are viewing the deadly attack last Wednesday on American forces in Manbij. With its tiled walls, shiny tables and tasty shawarma sandwiches, the Palace of Princes restaurant had become a favorite haunt of the 2,000 American troops stationed in Syria. They would pop in to pick up takeout orders before heading back on patrol. Other times they parked their armored cars in front and sat at a table. The soldiers seemed to have made little effort to hide their presence or vary their routine to make it harder for enemies to track them. In a newsletter ISIS released shortly after the attack, the group quoted a member of its “emni,” or intelligence and security branch, based inside Manbij, who explained that the militant group had regularly tried to hit American forces in rural Manbij. Their efforts failed until last week. In the article, the ISIS operative explained the surveillance the group had used, saying American forces were positioned at three small bases on the outskirts of Manbij. He said United States troops moved regularly among these bases in convoys of five to 10 armored cars, escorted by guard vehicles belonging to an American-backed Kurdish militia. While it is impossible to verify the claims made in the ISIS newsletter — and the Pentagon has released no further details on the attack — the surveillance described in the article is consistent with what is known about how the group is carrying out its insurgency. He explained that American soldiers entered the city in convoys of Land Cruisers, but rarely appeared outside their armored cars, according to a translation provided by the SITE Intelligence Group, which monitors extremist content. Mr. Jones said strikes like the one on the American troops require militants to carry out intelligence, build the bomb, transport the bomb and deploy a suicide bomber. “It shows they have a clandestine network,” he said. For Abu Ayad, it started with a simple message to an Islamic State recruiter and ended with him locked up and facing the death penalty after he agreed to become a suicide bomber, like reported by 9news.com.au. Ayad’s story is a cautionary tale of how Islamic State (IS) recruiters can seduce vulnerable young men using just the internet into joining them to carry out horrific acts of violence. Some experts have cast doubt on the idea that IS recruitment can occur without any face-to-face meetings, but Ayad’s transformation rapidly took place solely in the digital realm. 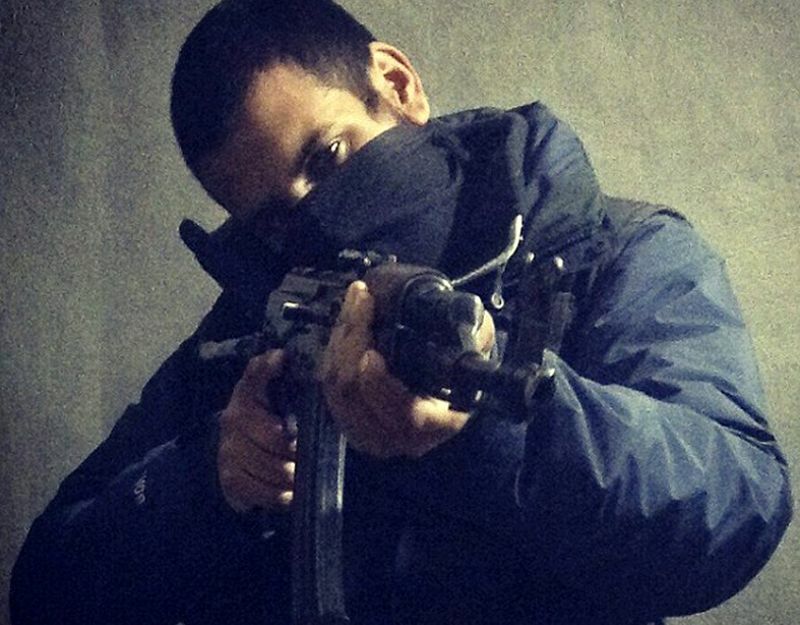 Precisely how the 20-year-old from Baghdad was carefully groomed by an IS recruiter is detailed in a rare first-hand account, released by US-based International Centre for the Study of Violent Extremism (ICSVE). Researchers from ICSVE interviewed Ayad in the Iraqi prison where he has been held since 2016, awaiting an execution order. In 2016, at the time just a teenager, Ayad began to search out ISIS content after watching the group’s dramatic rise in Syria and Iraq on the news. Intrigued, he searched out more information and found himself on Twitter accounts and Facebook pages set up to distribute IS propaganda. “They affected me because I was poor,” Ayad said. He wanted a house and money, so he could get married. Ayad was one of five children, his father was a school teacher and his mother a housewife. Ayad said he was drawn to dialogue and teachings in the IS videos that he watched. He claimed to have “fast forwarded” through beheading videos and other barbaric acts which became the ultra-violent hallmarks of IS propaganda. “I didn’t agree on killing people,” Ayad said, who was careful to keep his online activities secret from his family. Soon he sent a message to the unknown figures running the Facebook and Twitter accounts. Ayad asked who they were. The IS recruiter told him money and freedom was waiting for him if he joined the group. Ayad was afraid the recruiter was lying to him, but he maintained contact and kept talking. “I only knew his nickname. It was Abu Yahya,” Ayad said. As the connection strengthened, the conversation turned more sinister. The recruiter dropped the idea of Ayad becoming a suicide bomber. He was fed stories about paradise and martyrdom. The faceless recruiter told the teenager to “have courage”. Ayad was slowly coerced into handing over personal details, such as his full name, phone number and home address. Pressure was applied, and Ayad began to fear Islamic State would hurt him and his family. “They lure people, they find a way to control you,” Ayad said. “I was afraid he might arrange for me to be killed. Before he was able to defect and join the group, Ayad was arrested by Iraqi authorities. He was prosecuted for joining ISIS and agreeing to become a suicide bomber. Islamic State’s use of social media platforms to pump out propaganda and reel in vulnerable men and women remains a “serious problem”, according to US-based counter-terror analyst, Michael S. Smith II. Smith, who has briefed the US government on online counter-terror strategies, told nine.com.au there were “ample indicators” IS had “retooled the radicalisation process” to be much more media-focused and less hands-on and face-to-face than Al-Qaeda. 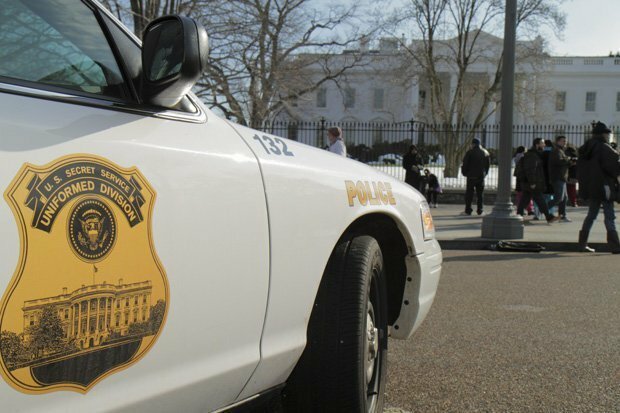 “This can make it more difficult for intelligence and law enforcement agencies to identify individuals who pose threats to public safety,” he said. Since 2014, Smith said IS recruiters had exploited popular social media platforms to wage “the most aggressive and effective worldwide recruitment and incitement campaign of any terrorist group in history”. “The persuasiveness of Islamic State recruiters’ … efforts to incite violence in the West over the Internet can be seen in the dozens of successful and failed attack plots in Australia, the US, Canada and Europe involving individuals not trained in the group’s primary areas of operation,” he said. Australia’s notorious IS recruiter Neil Prakash has languished in a Turkish prison, where he has faced terror charges, since his 2016 arrest near the border with Syria. His Australian passport was cancelled in 2014 and he was added to a sanctions list in 2015. Prakash has previously admitted being a member of Islamic State but said he had nothing to do with the group in Australia. Prakash has since become the subject of a diplomatic stand-off between Fiji and Australia. Fijian officials are furious with Home Affairs Minister Peter Dutton for stripping Prakash of his Australian citizenship and trying to palm the terrorist off onto their Pacific nation. Australian Prime Minister Morrison flies into Fiji on Thursday, where the matter will be discussed. Prakash was born in Melbourne to a Fijian father and Cambodian mother. Last year, the Chinese propaganda apparatus claimed that the northwestern province of Xinjiang had to be saved from becoming “China’s Syria or China’s Libya”, like reported by warontherocks.com. After a succession of violent attacks — in Urumqi in 2009, in Beijing in 2013, and in Kunming and Urumqi in 2014 — the Chinese party-state turned to extreme measures to stabilize and control Xinjiang. The “Strike Hard Campaign against Violent Terrorism,” launched in 2014, began the securitization of the region. The stabilizing effort went one step further by the end of 2016 with the appointment of Chen Quanguo, previously the Chinese Communist Party secretary of Tibet, as the party head of Xinjiang. Building on measures implemented in Tibet, Chen transformed the Uyghurs’ homeland into a police state. In early 2017, the recruitment of police forces increased exponentially, in line with efforts to establish close to 7,500 “convenience police stations” across the region to stabilize Xinjiang with a “grid-like” security apparatus. These securitization efforts also draw on technological development: a surveillance network using facial recognition, the collection of citizens’ biometric data, GPS tracking of private vehicles, and spyware in Uyghurs’ smartphones. But the party’s campaign in Xinjiang goes farther than a deepening of security measures. Its most novel aspect is that it incorporates profound “counter-extremism” efforts aiming at changing the heart and minds of the local population. The People’s Republic of China Anti-Terror Law of 2016 defines extremism as “the ideological basis of terrorism” or, more broadly, “inciting hatred, discrimination, or agitating violence through distorting religious doctrines or other means.” While the term has been part of Chinese security policy in Xinjiang for a long time — the party-state refers to separatism, terrorism, and extremism as the “three evil forces” — extremism is now becoming increasingly predominant in the official discourse, much more than separatism in particular. But what exactly does this new emphasis imply? Does it reflect a paradigm change or simply old wine in new bottles? Drawing on interviews with Chinese sources, central and local official documents, and expert analyses, this article argues that the Chinese Communist Party’s focus on extremism as the main threat in Xinjiang aims to legitimize mobilizing the population for a massive social transformation of the region. The goal is to justify what the party-state describes as a preventive approach to terrorism, focused on blunting the influence of religious extremism over large segments of the Uyghur population. The establishment of re-education camps all over the region is the most obvious embodiment of this policy. In addition, the government’s emphasis on extremism connects its policy toward Xinjiang with what other nations have undertaken in the name of the global war on terror. This highlights Chinese authorities’ willingness to legitimize their policy, both internally and abroad, and to produce their own alternative discourse on the issue. “Counter-extremism” has progressively become a watchword for Chinese government efforts to transform Xinjiang. It was first mentioned in 2012 by the province’s local government. The term has since become an important part of Xinjiang government work reports, starting in 2014. This process resulted in the 2017 drafting of the “Xinjiang Autonomous Region Regulations on de-extremification,” the country’s first legal text on the topic. Illustrating the new importance accorded to extremism among the “three evil forces,” a recent interview given by the chairman of the Xinjiang Autonomous Region mentions extremism 25 times, while separatism is only mentioned once. The focus on extremism broadens the scope of state intervention beyond the direct prevention of terrorism. It justifies going beyond targeted anti-terrorist measures to focus on the transformation of the local society: The state must intervene in the culture, customs, and thoughts of the local population. Chinese authorities have published lists of illegal extremist activities: According to the 2017 Xinjiang regulations, it is, for instance, forbidden to use one’s “appearance, clothing and personal adornment, symbols, and other markings to disseminate religious fanaticism, disseminate religious extremist ideologies, or coerce others to wear extremist clothing or religious extremist symbols. The state has also listed “unusual behaviors” that are considered signs of extremism and have to be monitored. It includes storing large amounts of food, quitting smoking or drinking, and not crying at funerals. This community-based approach to extremism led to the widespread application of “transformation through education” to Uyghurs. Reports generally indicate that large numbers of Uyghurs and other Muslim minorities have been placed in re-education facilities in Xinjiang since 2014. A recent amendment to the Xinjiang de-extremification regulations aimed at making these practices legal, but their legality remains contested. Chinese experts emphasize that in order to work, “counter-extremism” requires the massive mobilization of the population. This mobilization is part of the “people’s war on terrorism” launched in 2014. In parallel to military efforts, this involves a “war against extremism” which takes place in education, on the Internet, in cultural sectors, etc. The mobilization aims at expanding the popular consciousness of terrorist and extremist risks, teaching people how to recognize extremism, and uniting social forces against the “three evil forces.” This strategy was included in the Anti-Terror Law of 2016, which called for establishing joint coordination mechanisms to mobilize grassroots organizations, stipulated that citizens have the duty to assist the authorities in the fight against terrorism, and encouraged the establishment of volunteer groups and civilian intelligence gathering groups in local communities. In Xinjiang, more than a million Chinese civilians have been mobilized to support the police and the military with the “counter-extremism” campaign. Work teams of officials have been sent to communities to assess the local situation and identify extremists. Also, as part of the “becoming family” program, discussed in a recent Human Rights Watch report and mentioned by several experts and observers, public-sector employees from the Han Chinese ethnic majority are sent to stay regularly with Uyghur families to monitor and indoctrinate the local population. Following a similar logic, the “linking couples” policy asks Han public-sector employees to identify Uyghur colleagues and live for a period of time in their home, according to my interviews with party-state officials. The goal of these programs is to replace existing ties and connections within communities. Beyond domestic mobilization, the terminology of extremism is also used to legitimize the state’s efforts in Xinjiang on the international stage. As a response to the international backlash against its policy in Xinjiang, China draws parallels between its “counter-extremism” campaign and what it sees as similar efforts in the western world. At the same time, China stresses the comparative efficiency of its radical policies, as they focus on the community as a whole rather than targeted individuals. Xinjiang has provided [trainees] with free vocational training through vocational education institutions to improve their ability in commanding the country’s common language, acquiring legal knowledge and vocational skills, among others. In that way, Xinjiang can better guard against the infiltration of terrorism and extremism. The Chinese government has also drawn parallels with deradicalization practices in the Western context. According to the Ministry of Foreign Affairs: “The relevant practices in China are no different from those in the UK, France and the US. They are all the active efforts we have made to prevent terrorism and eliminate extremism with the view to nipping the evil in the bud.” But these efforts to draw parallels to Western efforts belie very different realities: Rather than targeted policies focusing on radicalized individuals, which are more common in the United States and Europe, the Chinese party-state promotes a community-focused strategy aiming at the social transformation of Xinjiang. In fact, the party-state acknowledges this distinction by capitalizing on the inefficiency of Western deradicalization programs. The policy implemented in Xinjiang is presented as more efficient, as it targets the community rather than individuals. 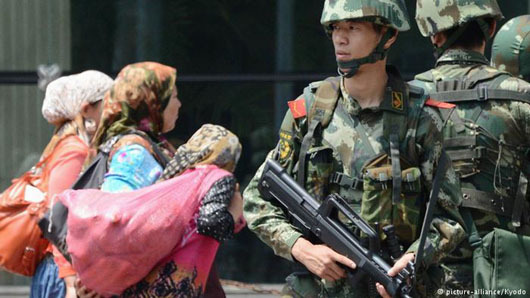 Chinese authorities use the concepts of extremism and “counter-extremism” as an attempt to legitimize their policy in Xinjiang in the eyes of both the domestic population and the international community. The goal is to justify a massive mobilization of the population and a long-term securitization strategy in Xinjiang: Contrary to separatism, which is by definition limited geographically, extremism is a problem for the whole nation and can be found anywhere. Thus, rather than a campaign limited in time or space, the more expansive counter-extremism campaign has become the new normal in Xinjiang and seems to be here to stay. This strategy is also expanding beyond Xinjiang, as local governments from provinces with large Muslim populations have signed cooperation agreements with Xinjiang on extremism. Overall, the evolution in terminology highlighted here is crucial, as it helps to underscore the shift from pure securitization to a preventive approach. The trend echoes the writings of Hu Lianhe, one of the initiators of the new “counter-extremism” campaign, who argues that the “standardizing of human behaviour” is a prerequisite of stability. Thus, rather than an exception, Xinjiang can be seen as a laboratory for the Chinese party-state’s social engineering policies. 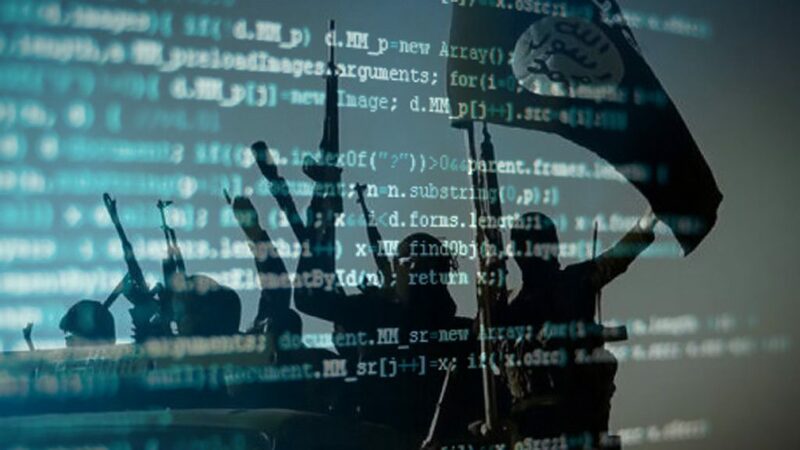 ISIS has effectively exploited the power of technology to fuel its rise around the globe, from streaming and file-sharing platforms to messenger applications and social media services. Many tech companies have responded in turn, strengthening their oversight and security measures. But while major platforms like Facebook, Twitter, YouTube, and Telegram are becoming increasingly inhospitable to ISIS, the group’s reach is growing on lesser-known messenger apps designed for businesses and gamers. In the aftermath of major territory losses in Iraq and Syria, ISIS is reconfiguring how it uses technology to drive its recruitment and coordination efforts. ISIS uses the encrypted messenger platform Telegram as its primary app for media releases. In seeking new venues to disseminate its content, the terrorist group has made repeated attempts to set up web pages and blogs on services like Tumblr and WordPress. Such platforms are fitting places for ISIS propaganda, where content can be transferred from Telegram into organized, easily accessible layouts. Throughout 2018, the group’s Amaq News Agency invested significant effort into staying on these webpage and blogging platforms, from implementing Cloudflare to protect against DDOS attacks to creating browser extensions that immediately provide users with new URLs to their sites. Those measures ultimately failed, as each of their sites was hacked or removed. Thus, emerging messenger applications—particularly those with features modeled after social media, such as chat groups, channels, and media-sharing—have become an effective alternative for ISIS. Many other ISIS-linked media groups embraced RocketChat nearly simultaneously. Some provide instructions for carrying out terrorist attacks, while others mirror content from ISIS’s mother-channels on Telegram. In no time, RocketChat was host to content from the ISIS-linked Khilafah News, the attack-guide channel “Just Terror,” the English language ISIS media outlet Halummu, and the longstanding deep-web discussion forum Shumukh al-Islam. A technical manual published by the ISIS-linked “Afaaq Electronic Foundation” on December 15 instructed followers on how to install and anonymously use RocketChat. A review of these RocketChat rooms shows that Amaq News Agency, ISIS’ official news outlet, was the first to hold an account on the platform, suggesting that the migration to Rocket was instructed by ISIS central. These groups continue to grow on the platform. As of January 8, there were over 700 users on the server that houses ISIS’s channels. It requires only a private invite link and an email address to join. Around the same time they were promoting RocketChat, some major ISIS-linked channels also announced accounts on Yahoo Together, a new mobile-only messaging application launched in July to replace Yahoo Messenger. The platform has thus far been used in a similar fashion to RocketChat, mirroring communiques, photo reports, and media statements first posted to Telegram. Unlike RocketChat, however, Yahoo Together appears to have quickly removed the ISIS accounts. Since then, ISIS groups have not advertised accounts on Yahoo’s app. Last month, ISIS also announced a Nashir News Agency account on Viber, another cross-platform instant messenger app. Though ISIS-linked media groups and supporters have long used the platform, their official promotion of Viber signaled a new level of investment. The Nashir News Agency account appears to have since been removed, but its initial establishment on Viber is likely encourage other ISIS media groups and supporters create accounts on the platform. Beyond the group’s media officials, die-hard jihadi supporters are expanding their online outreach efforts in more unexpected places. One such example is Discord, a messenger application for gamers with more than 130 million registered users. The platform organizes its chat communities into “servers,” each of which contains numerous text and voice channels. One Discord server includes users with pro-ISIS names like “Al Bagdadi” and “dawlatulislambiqiyah” (an ISIS slogan meaning “State of Islam Remaining”). The server has featured official ISIS media, Telegram links, and commentary about the group’s operations and strategy. Other posts contain pro-ISIS graphics pulled from Telegram, such as recent images calling for attacks on Christmas celebrations in New York City, Paris, Barcelona, and other Western cities. The server’s postings are in various languages, including English, Russian, and Japanese. These activities—seemingly casual discussions, the exchange of links and usernames, and the sharing of propaganda and amateurish artwork—are exactly how recruitment takes place. Messenger apps now serve as outreach centers for ISIS media workers. And though these applications are attracting millions of new users, many seem unprepared to sift out bad actors. Exploiting these messenger platforms sidesteps many of ISIS’s security concerns and allows the group to take advantage of tech companies’ existing audiences. Apps like RocketChat and Viber further enable ISIS media workers to curate, tailor, upload, and disseminate content more effectively from their phones or computers. ISIS is currently testing the water with these apps, carefully watching how long their accounts remain active and whether or not they’ll be censored. Previously, ISIS attempted to use platforms like Riot and TamTam, but backed off after those companies took immediate action. Thus, it’s clear that the responses of public messenger companies—whether swift action or indifference—is critical in influencing where terrorist groups migrate next. Goodbye Syria. Goodbye Afghanistan. The Peacekeeping and Stability Operations Institute – axed. Publication of the Army’s history of the war on terror – indefinitely postponed. The U.S. Army is withdrawing from its longest wars and pivoting towards conflict against state opponents. Though some are calling to abandon all things counter-insurgency, the Army must preserve hard-won lessons from fighting against non-state opponents. With more leaders lacking combat experience, the military risks losing these lessons from its long wars, like reported by warontherocks.com. At various times, the United States has successfully driven down insurgent violence in Iraq and Afghanistan. However, neither practitioners nor academics agree on the cause of this reduction. After 2006, the new counter-insurgency manual, FM 3-24, focused the U.S. Army on securing populations. Counter-insurgency doctrine may have reduced violence in Iraq, but we must also acknowledge the role of the 2008 troop surge and the truckloads of cash that accompanied it. Meanwhile, soldiers carved up cities with concrete and mounted massive MRAPs. Beyond tactics, new targeting techniques and noveltechnologies all contributed. So what caused the drop in violence? With the last edition of FM 3-24 published in 2014, the Army should capture on paper what works before the knowledge is lost. Enter Small Wars, Big Data by Eli Berman, Joseph H. Felter, and Jacob N. Shapiro. This team of practitioner-academics leads the Empirical Studies of Conflict program at Princeton University. Small Wars, Big Data argues that the U.S. military should focus its efforts not on winning hearts and minds, but rather on acquiring information from the people about insurgent activities. When satisfied with government security and services, civilians supply information. With information, counter-insurgent attacks can dismantle insurgent networks. Without it, insurgencies fester and violence increases. Armed with this framework, I would have fought differently – and American forces in Iraq and Afghanistan might have as well. During my first deployment, we worked hard but aimlessly. Local leaders accepted development projects but failed to support the Afghan government in return. Our radio broadcasts reached as far as the local government: hardly off the base. The only way for local civilians to provide information was by arriving at the gate during the day. On my second deployment, we focused primarily on developing information and built that capacity among our Afghan partners. As tips flowed in, our targeted operations captured insurgent financiers, forgers, and destroyed insurgent material. In this tale of two deployments, focusing on actionable intelligence through tips made the difference. Unlike other prominent works in the counter-insurgency field, Small Wars, Big Data brings a scientific approach. First, the authors compiled a remarkably broad picture of several conflicts. To understand Iraq, they combined conflict databases that recorded every significant activity by American forces in the country with development data from the Army Corps of Engineers and the U.S. Agency for International Development. Then, using the titular “big data,” the authors test their information theory to determine what works. Contrast this data-driven approach with earlier counter-insurgency works. David Galula’s Counterinsurgency Warfare: Theory and Practice and Charles Gwynn’s Imperial Policing synthesized personal experience into recommendations without deliberately testing their validity. More recent works, like John Nagl’s Learning to Eat Soup with a Knife, compares cases to determine why some counter-insurgencies succeed. Small Wars, Big Data is a rare work that deliberately tests theories with econometrics techniques and conflict data from across the world. Consider development. Small Wars, Big Data’s rigorous testing shows certain development can be unproductive, though FM 3-24 gives it a prominent role. FM 3-24 argues “funding developmental assistance … [will] win the support of an indigenous populace and erode support for the adversary.” To test this theory, the authors present academic research that reveals how poorly conceived development projects inflict significant harm. In one study, they compare violence in Philippine villages just above and below the poverty line. Those below qualified for a development program. Those above did not. The development program was associated with an 85 to 110 percent increase in annual casualties. However, results of other studies offer a clear prescription for policymakers: Small, secure projects conditional on local cooperation with security forces do reduce violence. In the same way, Small Wars, Big Data considers dozens of studies to determine how violence levels are affected by aid, suppression, violence against civilians, and economic conditions. First, information is key. Information – and especially tips from local residents – is associated with short-term reductions in violence. In Basra, Iraq, in 2006, each additional tip reduced mortar attacks by 50 percent and roadside bombs by 15 percent. This is a big impact for a small action. Counter-insurgents need information. Second, getting more information is easier in counter-insurgency than in interstate conflict. While intrastate war requires mass mobilization, precise counter-insurgent interventions increase information flow. Based on data from Iraq in 2007 and 2008, the authors conclude that each coalition-caused civilian casualty was associated with almost one fewer tip each week. Tighter rules of engagement, such as those enacted by Gens. 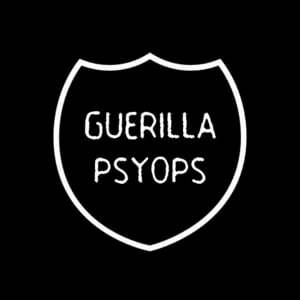 Stanley McChrystal and David Petraeus, protect civilians and keep tips flowing. Third, hearts and minds are important, but counter-insurgents just need one tip. FM 3-24 emphasizes winning the loyalty of locals through expensive population protection and development. Small Wars, Big Dataindicates that popular attitudes are less important than those of citizens on the margin. Rather than target all citizens, my Afghan partners collected tips from local civilians. From these tips, we captured insurgent leaders, destroyed opium factories, and disrupted insurgent finance. These effects did not require winning hearts and minds – just tips. Forth, information mechanics matter. After restoring cell phone coverage in Anbar province, attacks dropped because the population felt safe providing information over the phone to the coalition. Citizens share more information when the channels for doing so feel secure. Fifth, keep aid modest, secure, informed, and conditional. In Iraq, projects valued at less than $50,000, guided by coalition experts who worked closely with the local community and conditional on the community’s cooperation, reduced violence the most. The best projects focus on small, deliberate projects coordinated with military forces. Finally, counter-insurgents should collect data, then weigh the benefits of sharing that data against the risks. Data collected by military and civilian bureaucracies on tips, casualties, development, and public opinion made the authors’ research possible. Though data cannot win a war – see Vietnam – timely analysis can inform tactical and operational approaches to curbing violence. Despite these six valuable conclusions, the book struggles in two areas. First, it focuses overwhelmingly on the Western interventions in Iraq and Afghanistan. This makes sense given the author’s support from the U.S. Department of Defense and their backgrounds, but may limit the validity of their recommendations. Though the authors did include lessons from other conflicts like the Philippines and Mexico, most intrastate conflicts do not involve Western intervention. Readers should hesitant to extend these lessons to all conflicts. Still, the focus on Western counter-insurgencies makes this book a good starting point for rewriting FM 3-24. We had to isolate the effect of changes in aid. We did so by looking at the statistical relationship between changes in aid spending and changes in violence. This removed elements that can affect both aid spending and violence but do not change over time… Geography for instance, doesn’t change… [and] we need to account for trends in local attitudes. Though the authors make significant efforts to explain their process, their explanation is insufficient for graduates of the professional military education system. (While commissioned officers must earn a college degree, neither professional military schools for mid-grade nor senior officers include statistics instruction.) Without more detailed instruction on the methods employed, most practitioners would gloss over this section and skip to the findings below. For this audience, the book would benefit from tables or a “one-slider” of takeaways and recommendations for action. Conversely, this description’s lack of detail will disappoint scholars concerned with reproducibility. The authors describe the inclusion of geographical fixed effects and attitude controls, but imply there may be other variables like ethnicity or race they control for but do not mention in the description. Without knowing the type of model or variables used, fellow social scientists cannot determine whether these findings rest on solid science without referencing studies in the footnotes. While the authors back their work with references to peer-reviewed research, academics may desire greater methods discussion to allow independent judgement of the work without having to reach for references. Despite these shortfalls, Small Wars, Big Data’s important contribution deserves recognition. The authors’ six principles should be enshrined in a revision of FM 3-24. Further, the techniques that the book validates, like improving cell phone access, warrant inclusion in doctrine focused on counter-insurgency tactics. Even if those manuals don’t get updated, Small Wars, Big Data should definitely make counter-insurgency reading lists. As the United States reorients towards peer competition, focus on counter-insurgency has waned. Despite this shift in focus, American troops remain engaged in low-intensity conflicts from more than 800 bases around the world. Today’s troops deserve scientifically validated doctrine. Future troops need today’s best practices for the next time the United States engages in counter-insurgency. Though I’m not the first to call for updates to counter-insurgency doctrine, now is the right time and Small Wars, Big Data is the right book to guide that effort. A new online threat from ISIS supporters encourages jihadists to target critical infrastructure, with the suggestion of bombing power stations, like reported by pjmedia.com. 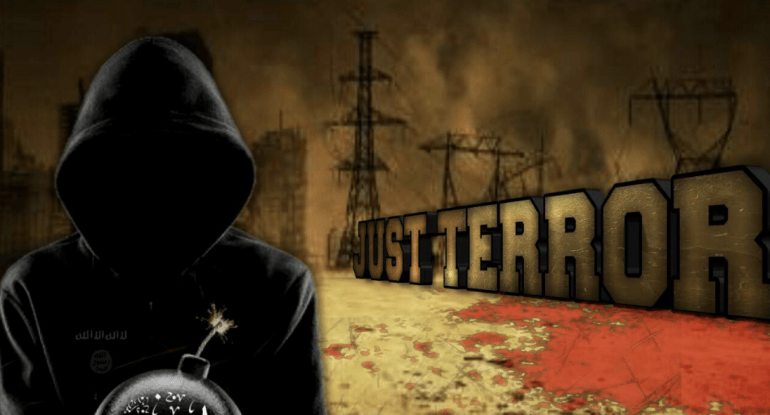 The image shows a faceless figure in a black hoodie with the Islamic State flag holding a bomb with a lit fuse with transmission towers and lines in the background. Along the power lines is the phrase “Just Terror” — the ISIS slogan for lone jihadist operations — and blood-spattered ground. The infrastructure threat is uncommon in ISIS propaganda, which has focused more on knife, vehicle or gun attacks in crowded areas such as festivals or music venues. Suggested targets have ranged from well-fortified locations, such as the U.S. Capitol or UN Security Council, to soft targets with little symbolic significance. At the end of last month, another ISIS-allied media group encouraged jihadists to “kill the infidels in ways which no one else ever used” including “electricity” among methods such as snakes, poison gas, poisoned arrows, and wild animals. The report also noted that America’s foes could take advantage of chaos after a natural disaster to attack energy systems. Attacks on critical infrastructure could also be a combination of cyber attack and physical attack, further complicating the response and expanding the damage. “The United States should respond to this problem in two overarching ways: 1) design a national approach to prepare for, respond to, and recover from catastrophic power outages that provides the federal guidance, resources, and incentives needed to take action across all levels of government and industry and down to communities and individuals; and 2) improve our understanding of how cascading failures across critical infrastructure will affect restoration and survival,” the panel said, requesting the National Security Council join with lead agencies to prepare a report on steps being taken to address the threat. “This profound threat requires a new national focus,” stressed the NIAC.